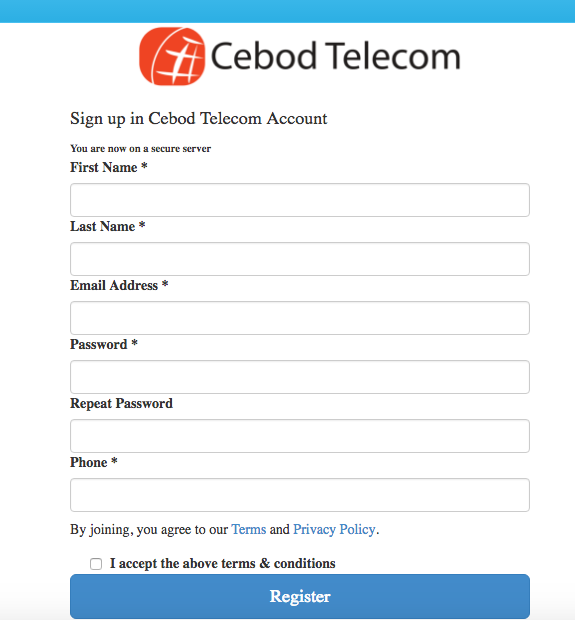 How to Register a New Phone Service Account "
Fill in the form with your name, email, password (remember the password), phone number (optional), and company name. Once the form is filled, click on Register. A confirmation page appears. 3. You should’ve received an email in your inbox. If not, please check your spam folder. Click on the link to confirm your email. Another confirmation page appears, informing you that your account is now active. Log into your account with the email and password you’ve selected. Once logged, the main dashboard displays recent calls/messages/faxes, minutes used, and costs. Find answers to more How Tos.